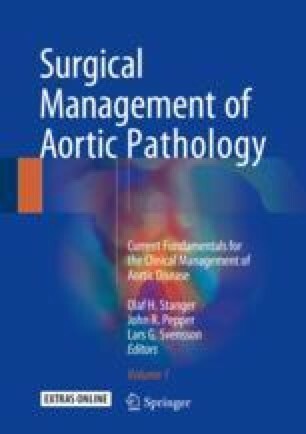 Aortic arch pathology has traditionally been approached through open repair necessitating circulatory arrest. Although a durable result, emerging technologies have been supplanting open technique, providing surgeons with a wider array of treatment options. These technologies include hybrid repair (debranching the aortic arch followed by stent grafting) as well as branched arch stent grafting. Several iterations of graft design exist with current designs flexible enough to accommodate most arch anatomy.